It’s that time again! Here are my tried and true Passover dessert recipes. 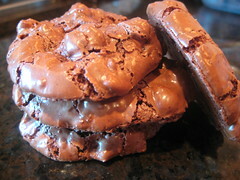 My family’s faves are the matzo brittle, meringues, and chocolate walnut cookies, but they are all delish! Happy Passover! @Camille @ Growing Up Gabel – i wrote you back! Check your spam!